“It’s the most wonderful time…. 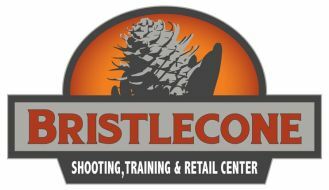 of the year!” It’s Member Appreciation Month at Bristlecone Shooting, Training & Retail Center! Membership: Did we mention that April is Member Appreciation Month? We LOVE our Members at Bristlecone and we can’t wait to show you how much all month long. We’re kicking off April with a special Membership Breakfast on Sunday, April 7th at 10AM. This is a great opportunity for prospective Members to come to the facility, take a tour, enjoy a pancake breakfast on us in the Members Lounge, and meet the staff and owners. What better way to see if this community is right for you? And if you sign up on the 7th, you’ll get an extra 25% off your initiation fee with a monthly Membership. New Monthly Corporate Memberships – previously these were only offered in an annual format. Now you can offer this unique employee benefit at a lower cost of entry with the monthly payment structure. New Church Security Team Membership and Training class – we’ve had so many requests for a separate membership category and specific training classes that we’ve developed both. Stay tuned to our training calendar for this new move-and-shoot class that addresses many of the training needs unique to these teams. Bristlecone Member Neighborhood Discounts – Not only will your Bristlecone Membership Card get you benefits at the best indoor range in Colorado, but now it will also get you discounts at some of the local businesses along the Union Corridor! Stay tuned for details. Member Appreciation Day is Sunday, April 28th! This is one of our favorite days of the year at Bristlecone. The facility will be open only to Members and their guests all day on Sunday, April 28th. We’ve got Springfield Armory and Vortex optics here with demos and great prices on their products, a store-wide sale, free food and lots of fun. You don’t want to miss it if you’re a Member. If you’re not a Member, this is a great time to join so that you don’t miss out on the fun! Defense Tactics Level 1 – this is a new 3-hour, hand-to-hand defense tactics class taught by a local MMA instructor. This is an introductory course where you will learn some of the basic skills necessary to survive a physical attack. Overall mindset, situational awareness and associated consequences will be covered, followed by a series of basic defensive techniques all geared towards giving you the ability to defend yourself when you have no other choice. $75. Register here for the 4/13 sesssion. Women’s Only Practical CCW Skills – We regularly teach this class in co-ed format, but this is the first month we’re offering a Women’s Only version – specifically to address the unique carry challenges and questions that women have. Cindy DeSplinter will be teaching this class on 4/12 at 6PM. This is a great “next step” class after you have your CCW. You will learn about different practice philosophies, what you can expect from different common malfunctions, cleaning and maintenance schedules, gear considerations and more. This class includes classroom and live fire range time. Register here. Our Training Trios are back for a limited time! These are bundles of 3 classes offered at a deep discount when you purchase them together. Stay tuned for more information. Gunsmith: The Bristlecone Gunsmith is offering 25% off labor all month in April for Members. Got some Spring (firearms) cleaning to do? Or maybe you want to dress up one of your old favorites. Either way, April is the perfect time to come and see our Gunsmith – especially if you’re a Member! Retail: Have you checked out our Bomb of the Month in the cases by the front doors? The Bristlecone Bomb of the Month is a new piece of inventory that we drop the price $50 on every Friday until it sells. What a great deal! April is a great month at Bristlecone Shooting in Lakewood! Come and see us!